We have a team of long term, reliable employees working to give you the best customer service 24/7days a week! 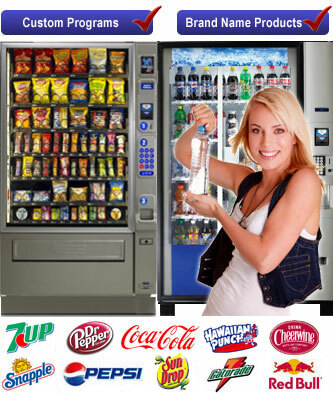 We have provided quality vending machine services to North Carolina and South Carolina areas for over 20 years. 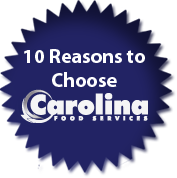 Carolina Food Services is a family owned business that is fully licensed and insured and provides quality service for Greater Metrolina Area including but not limited to: Charlotte, Mount Holly, Belmont, Gastonia, Huntersville, Cornelius, Davidson, Mooresville, Fort Mill and Rock Hill South Carolina. Carolina Food Services is a full service vending and office coffee company that provides clean, modern and reliable vending machines. We have a variety of equipment that vend an assortment of snacks, fresh and frozen foods, coffee and brand name beverages including Coca- Cola, Pepsi, Sundrop and much more, all customized to fit your vending needs. 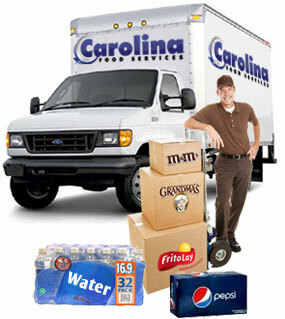 Experience the best in vending with Carolina Food Services! Browse our website and learn how we are better than your average vendor. With our many years of vending experience we can provide superior and personalized service! We offer complete planning and consultation for all your vending needs. Great vending service requires a dependable team commitment to quality and availability. 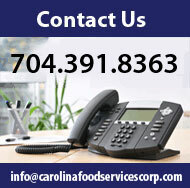 Carolina Food Services is dedicated to providing you with quality vending service 24/7. For more information on the products and services we offer, please call us for a free no-obligation consultation at 704.391.8363 . We would be happy to serve you!